It gives me so much joy to connect with you on this platform. I, contrary to popular belief I’m an ordinary girl born and bred by Zimbabwean based parents who face similar challenges like everyone else. 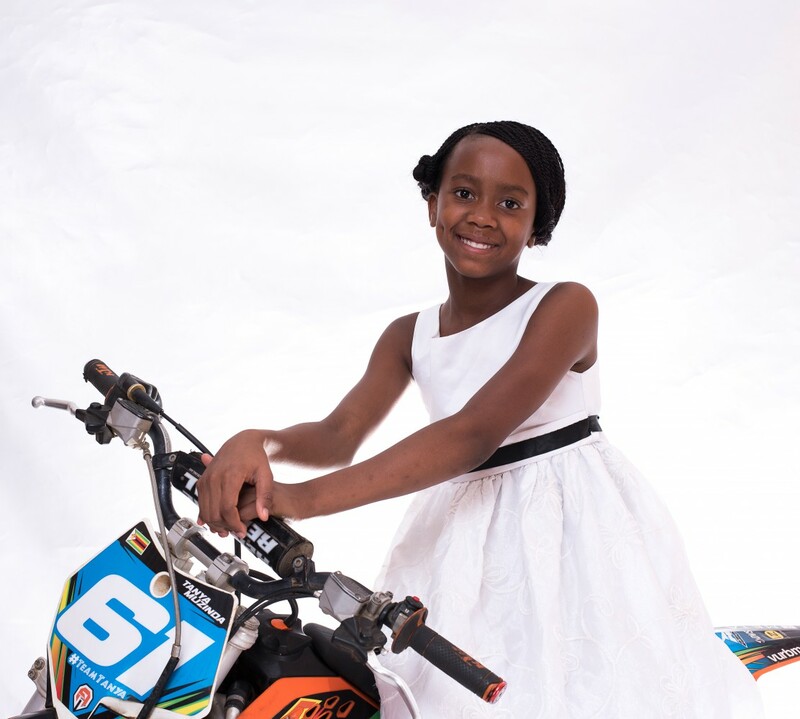 On this platform i will give you a exclusive insights on my day to day life as an 11 year old award winning motocross racer. I would like to thank you the reader for the support and motivation you continue to give in this journey that began when i was 5. Furthermore i would like to thank the Lord almighty for the grace and the mercies he has faithfully bestowed in my life. As a young person i strongly believe that God is the supreme sustainer and giver of life and i hope you are grateful to whatever powers you believe in. I would also like to thank my parents that have allowed me to grow and pursue my dream at such a young age. It is not often that kids get their wants satisfied, but my parents have made it possible for me. My prayer is that other parents may open doors for their children to pursue their dreams since the old adage says the sky is truly the limit, if you can dream it, you can live it and i live as a testimony to that. I haven’t yet arrived at the destination but i am not where i was when i began, so the journey continues. I would also like to thank my mentor, manager and friend Stefy Bau for the unwavering support, motivation and love. You are my inspiration.